Two of the key aims of the Centre are to encourage a deeper appreciation of the nature of risk and to develop approaches to its identification, analysis and management. To help achieve these objectives members of the Centre collaborate with researchers in institutions worldwide and disseminate their work at international conferences. The Centre also actively promotes and hosts conferences and seminars which address risk related issues. Dawson, I.G.J. (2016) Portraits of a future world: an empirical assessment of how different narrative, photographic and graphical representations of global population growth might influence perceived risk. 25th Society for Risk Analysis – Europe – Conference, University of Bath, Bath, UK. 20 - 22 Jun 2016. Hudson, R. and Urquhart, A. (2016) The inefficiency of war: evidence from the US and UK during WWII. Economic History Society (EHS) Conference , Cambridge, UK. 1-3 April 2016. Lawrence, W., Sung, M., Ma, T., Johnson, J.E.V. and Tiropanis, T. (2016). The role of mobile app use in the decision making behavior of spread traders. International Conference on Advanced Computing, Communication and Information Sciences (ICACCI), Cebu City, Philippines. 27-29 May 2016. Restocchi, V., Mcgroarty, F., Gerding, E. and Johnson, J.E.V. (2016) The impact of transaction costs in sports betting markets. Social Simulation Conference SSC2016, Rome, Italy. 19-23 Sep 2016. Sung, M., Johnson, J.E.V., McDonald, D. and Vaughan Williams, L. (2016) New insights into the prevalence of herding and its effects on financial market efficiency. Asia Pacific Conference on Economics and Finance (APEF), Republic of Singapore 27 - 28 Jul, 2016. Dawson, I.G.J. and Johnson, J.E.V. (2015) The more the merrier? Towards an understanding of public risk perceptions of global population growth. The 24th SRA-Europe Conference: Science, Policy and Society: Bridging the Gap Between Risk and Science, Maastricht, NL. June 2015. Marshall, A., Ojiako, U. and Chipulu, M. (2015) Carpe diem risk culture. British Academy of Management Conference, 2015. Moreno Paredes, J.C., Sung, M., Ma, T. and Johnson, J.E.V. (2015) The influence of smart phone apps on individuals’ decision making processes: a case study of spread trading investors. 18th Annual American Association of Behavioral and Social Sciences Conference, Las Vegas, US. 9-10 Feb 2015. So, M.C., Thomas, L.C. and Huang, B. (2015) Modelling the lending decision with limited capital. Credit Scoring and Credit Control XIV, University of EdinburghEdinburgh, UK. 26-28 Aug 2015. Sung, M., Johnson, J.E.V., Wang, S. and Tai, C. (2015) The influence of weather on trader's decisions in a financial market. In SIBR-RDINRRU 2015 Conference Interdisciplinary Business & Economics Research, Osaka, Japan, 2 - 3 Jul 2015. Dawson, I.G.J, Johnson, J.E.V. and Luke, M. A. (2014) A recipe for disaster? How risk factor quantity can influence risk judgments. In, The 23rd Society for risk Analysis - Europe (SRA-E) Conference, Istanbul, TR, 16 - 18 Jun 2014. Degl'Innocenti, M., Wolfe, S. (2014) How do branch network organizations and local market structures affect bank performance? 2014 FEBS Conference, Surrey. Degl'Innocenti, M. Urquhart, A. & Wolfe, S. (2014) Market reaction to State Aid and Distressed Mergers during the Financial Crisis, IFABS 2014 Conference, Lisbon. Johnson, J.E.V., Sung, M. and O'Brien, R. (2014) Reactions to dynamically changing information in betting markets. In, CEAR International Workshop on the Economics of Gambling, South Africa. Sung, M., Johnson, J.E.V. and Lessmann, S. (2014) The value of combining forecasts for profitable trading in the HK horserace betting market. In, CEAR International Workshop on the Economics of Gambling, Cape Town, South Africa. Gulthawatvichai, S., Sung, M., Johnson, J.E.V. and Cheah, E-T. (2013) An empirical analysis of individual herding behavior in the UK financial spread trading markets. In, INFINITI Conference on International Finance 2013, Aix-en-Provence, FR, 10 - 11 Jun 2013. Gulthawatvichai, S., Sung, M., Johnson, J.E.V. and Cheah, E-T. (2013) An empirical analysis of individual herding behavior in the UK financial spread trading markets. In, 11th INFINITI Conference on International Finance, Aix-en-Provence, FR, 10 - 11 Jun 2013. Sung, M., Johnson, J.E.V., Ma, T. and Lessmann, S. (2013) Combining forecasts to predict the outcome of horse races. In, The 15th International Conference on Gambling & Risk Taking, Las Vegas, USA, 27 - 31 May 2013. McDonald, D., Johnson, J.E.V. and Sung, M. (2013) Betting market efficiency implications of different structures: bookmakers vs. exchanges. In, The 15th International Conference on Gambling & Risk Taking., Las Vegas, US, 27 - 31 May 2013. Johnson, J.E.V., Sung, M. and McDonald, David (2013) Toward an understanding of price movements in betting markets: profitable trading against the herd. 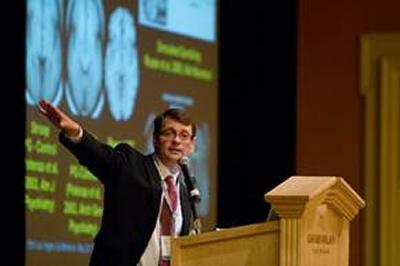 In, The 15th International Conference on Gambling & Risk Taking, Las Vegas, US, 27 - 31 May 2013. Dawson, I.G.J., Johnson, J.E.V. and Luke, M.A. (2012) Understanding lethal combinations: communicating mechanistic and probabilistic concepts to improve individual's judgments of synergistic risks. In, Society for Judgment and Decision Making Annual Conference, Minneapolis, US, 16 - 19 Nov 2012. Dawson, I.G.J, Johnson, J.E.V. and Luke, M.A. (2012) Human judgments of synergistic risks: perspectives from evolutionary psychology and potential directions for risk communication. In, Society for Risk Analysis - Europe - Annual Conference, Zurich, Switzerland, 18-20 June 2012. Jayasekera, R. and Soobaroyen, T. (2012) The interplay between NGO accountability and ‘development': A case study. In, AOS Workshop on Accounting, Non-governmental Organizations and Civil Society, London, GB, University of Southampton. McDonald, D.C.J., Sung, M. and Johnson, J.E.V. (2012) Resolving the question of why the favourite-longshot bias exists in some betting markets but not in others. In, The First Asia Pacific Conference on Gambling & Commercial Gaming Research (APCG2012) , Macau Special Administrative Region, MO, 05 - 08 Nov 2012. McGroarty, F., Ma, T., Johnson, J.E.V., Sung, M. and Tang, L. (2012) Out-performing the market with survival analysis: exposing the limitations of apparently well calibrated market traders. In, 19th International Conference on Forecasting Financial Markets, Marseille, FR, 23 - 25 May 2012. McGroarty, F., Ma, T., Johnson, J.E.V., Sung, M. and Tang, L. (2012) Out-performing the market with survival analysis: exposing the limitations of apparently well calibrated market traders. In, 10th INFINITI Conference on International Finance, Dublin, IE, 11 - 12 Jun 2012. Sung, M., Lessmann, S., Johnson, J.E.V. and Ma, T. (2012) Improving predictions of competitive event outcomes by forecast combination. In, ISF: The 32nd Annual International Symposium on Forecasting, Boston, US, 24 - 27 Jun 2012. Leow, M., Mues, C. and Thomas, L.C. (2011) Competing risks survival model for mortgage loans with simulated loss distributions. In, Credit Scoring and Credit Control XII conference, Edinburgh, GB. McDonald, D., Sung, M. and Johnson, J.E.V. (2011) Favourite-longshot bias in competing betting markets. In, International Conference on Gambling Studies, Nottingham, GB, 03 - 05 Apr 2011. 35pp. McDonald, D., Sung, M. and Johnson, J.E.V. (2011) The effects of increased volatility and herding behavior on the efficiency of a speculative financial market. In, The 19th Conference on the Theories and Practices of Securities and Financial Markets, Kaohsiung City, TW, 09 - 10 Dec 2011. Ojiako, U. and Chipulu, M. (2011) An explorotary study of the impact of financial regulations on risk management in Zimbabwean banks. In, Business Management Conference, Durban, ZA. Walshe, J.H., Watson, D.A., Blake, J.I.R. and Nguyen, T.D. (2011) Through life asset management by integrated life cycle costing and concurrent engineering. In, ICCAS 2011: International Conference on Computer Applications in Shipbuilding, Trieste, IT, 20 - 22 Sep 2011. Dejaeger, K., Verbeke, W., Huysmans, J., Mues, C., Vanthienen, J. and Baesens, B. (2010) Rule based predictive models, decision table and tree: an empirical evaluation on comprehensibility. In, 24th European Conference on Operational Research, Lisbon, PT, 10 - 13 Jul 2010. Tong, E., Mues, C. and Thomas, L.C. (2010) Mixture cure models in consumer credit risk. In, 24th European Conference on Operational Research, Lisbon, PT, 10 - 13 Jul 2010. Werner, R. A. (2009) Lessons from the Global Crisis: A new Paradigm? In, 2nd Mecpoc Symposium , Franklin College. Wolfe, S. and McKenzie, G. (2009) The implications of risk transmission for depositor protection. In, 16th Annual Conference Multinational Finance Society, Crete, Jun 2009. Marshall, A. (2007) Care for older people in Scotland: regulation and risk issues, early observations. In, 8th European Sociological Association Conference: Conflict, Citizenship and Civil Society, Glasgow, UK, 03 - 06 Sep 2007. The Centre for Risk Research is proud to announce that it will act as an Associate Sponsor for the upcoming 'International Conference on Gaming, Leisure and Entertainment 2014' in Macau.